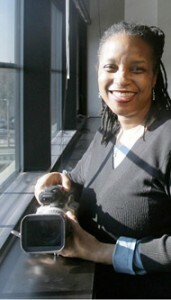 University of Wisconsin-Milwaukee filmmaking tenured associate professor and digital media artist Portia Cobb’s noteworthy journey led her to “third coast” Milwaukee. She has made her home here for the past twenty-two years. She was born on the east coast in Bronx, New York. At five years old, she moved with her brother and mother to California and graduated from the Los Angeles High School of The Arts after majoring in art and drawing. Encouraged by her friend Terry McMillan, now a renowned author, she relocated to Oakland in Northern California at nineteen years old. Graduating in 1987, she later entered San Francisco State University’s graduate film program, receiving a master of arts degree in 1991. Following graduation, after an invitation to teach a summer class at University of Wisconsin-Milwaukee, she stayed on, thus beginning her UWM film department career in 1992. Her chosen career path constantly pays off through honors, awards, artist residencies, lectures, and fellowships. She received the coveted Creative Capital Foundation Fellowship to develop new work. Film and video projects documenting traditional music in three West African countries resulted from several UWM Travel Awards supporting research trips in 1994, 1999, and 2001. Portia’s class work encompasses development of media arts literacy for teachers, children and young adults in underserved communities. She seeks places where stories are shared and encourages younger people to pursue their dreams, tell their stories and learn about radical black films – films produced by black directors and others considered risqué in the presentation of black culture. Portia’s primary tool, the camera, and her medium, the documentary, both aid her as an interdisciplinary artist in telling her story through installations, collaborations, images and music. Her remarkable achievement of university tenure as a black woman must be celebrated. Her intelligence, artistic skills and a vast international support network provide comforting support when challenging personal and professional situations occasionally cause self-doubt. Also direction comes from her practice as a Nichiren Buddhist. “I follow my heart and listen to the ancestors when they guide me. It hasn’t always been easy, but having experienced many blessings over these years in Milwaukee, I am thankful for all of my experiences,” she says. Nationally, family and research interests facilitate her service on the Board of Directors for the South Carolina Humanities Council. The considerable time she spends in Low Country, South Carolina has inspired a new series of digital portraits of life within South Carolina’s unincorporated towns and villages. In Milwaukee, her many interests include work on selection committees for public art. Now training for a marathon distance run later this year, she participates in a Milwaukee chapter of Black Girls Run, a national African American women’s fitness and running club. Portia is divorced with two grown daughters, Nirvana Cobb and Amaker Lee Johnson, who now make their homes in New York City and Florida, respectively. Associate minister Willie E. Brisco says, “If I have to choose a title or a name, it would be that of servant.” In 2010, the non-profit organization Milwaukee Inner-City Congregations Allied for Hope (MICAH) elected Minister Brisco its president. His second two-year term continues through November of 2015. MICAH, a multi-racial interfaith nonprofit organization, focuses on social justice issues in education, jobs and economics, prisons, and immigration. Affiliated with WISDOM, a statewide organization and Gamaliel, a nation-wide foundation, MICAH organizes people of many traditions to work together to empower themselves for justice. A WISDOM representative to The African American Leadership Commission, of the Gamaliel Foundation, Minister Brisco also serves with the Milwaukee Transitional Jobs Collaborative. His steadfast love of God now provides a foundation for his commitment to create change backed by the religious faith instilled in him as a youngster by his mother and grandmother. He firmly trusts that God led him to a 25-year Milwaukee County corrections career as an on-site witness in order to effectively minister and advocate for re-entry programs that dissuaded people from continuously returning to prison. After attaining the rank of assistant superintendent, he retired in 2009 to begin a new career as a full-time minister. Working in the prison system provided eye-opening experiences. These experiences and living in varied environments shaped his strong commitment to help others better their lives. Born in the small town of Sardis, MS, Willie’s early years with his family were spent on a self-sustaining farm during imposed segregation’s waning years. When Willie was a teenager, his family moved briefly to Detroit, MI before finally settling in Milwaukee. He observed middle class black people doing well. Graduating from North Division High School in 1972, he witnessed Milwaukee’s gradual decline. Good jobs dried up as prejudices, injustices, and Jim Crow practices resurfaced. Community safety deteriorated. Incarceration percentages increased for African Americans and more people lived in desperation. Originally interested in journalism, Willie attended the University of Wisconsin-Madison, but left in his sophomore year. He then attended Milwaukee Area Technical College and held various jobs leading to a prison system career. During his career in corrections he completed courses in management and leadership at the United States Justice Department’s National Institute of Corrections in Longmont, CO, and graduated in 1997 from the Northwestern University Traffic Institute School of Police Staff and Command. As he worked in the secular world, he also worked on his religious growth. Minister Brisco was a long time member of The Way of The Cross Missionary Baptist Church where he served as deacon, male chorus president, and the men’s ministry president. 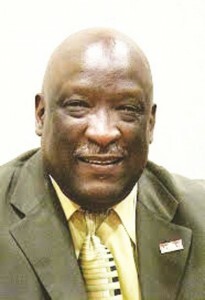 In 2007 Minister Brisco assisted in the formation of Abiding Fellowship Church under the leadership of Pastor Anthony Olliphant, where he held the same offices as at The Way of The Cross until he joined New Covenant Baptist Church as a full-time minister under the leadership of Dr. F.L Crouthers. By promoting alternatives to incarceration, The 11 x 15 Campaign, addresses decreasing Wisconsin’s incarceration rate – one of the highest in the nation. Minister Brisco explains, “Locked up for alcohol and drugs, 11,000 Wisconsin prisoners, by 2015, must be freed for treatment instead of staying imprisoned. Young men and women over and over return to the correctional system and must get out of their own way to stay out. Successful prosperous people almost always had someone to steer them in the right direction.” By traveling the “road to excellence,” Minister Brisco committed to change as an important guiding force and selflessly serves. Married to Sandra Brisco in 1991, they are the parents of two boys and three girls and have nine grandchildren. Tracey Dent is dedicated to building a safe, prosperous, and educated Milwaukee as CEO and founder of Peace for Change Alliance (PCA). Through PCA, Tracey introduces initiatives promoting better education, wellness, and peace within Milwaukee communities. Creating positive energy for his wife Tamika, his daughter Azaria, and others fuels his desire to generate solutions to community problems. Tracey refers to himself as an ordinary person who wants to make a difference in his city. Far from ordinary, his achievements, commitment and extensive collaboration skills stand out. Born and raised in Milwaukee, Tracey attended Pierce Elementary and Hartford Avenue schools before graduating from North Division High School in 1986. He began pursuing a degree at the University of Wisconsin-Milwaukee and recently transferred to Liberty University, Lynchburg, VA. Majoring in accounting, he plans to graduate in December 2014. Tracey’s numerous accomplishments, recognized by awards and nominations, include his most recent 2013 Community Service award from the Grover Heights-Williamsburg Triangle neighborhood. His goal is to collaborate with youth agencies and reach as many impoverished youth as possible. 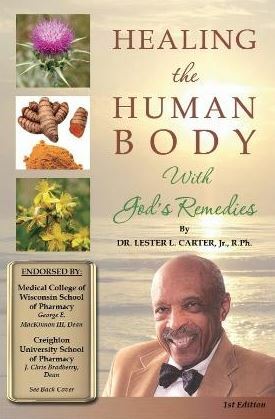 They inspire him to assist in instilling hope, self-respect and positive productivity to move them beyond hopelessness. To date, along with PCA, he has founded Milwaukee Walk Toward Wellness; Getting it Together for a Brighter Future College Fair; Voices Against Violence Coalition and its first annual community job and resource fair; and has been the force behind “Stop the Violence” rallies, Thanksgiving Turkey Give-Away, Christmas with the Children, annual blood drives, health fairs, Milwaukee Walk Toward Wellness, college fairs, Boys to Men and Girls to Women Workshops, Stop the Violence Town-Hall Meetings, Bridging the Gap, Stop the Violence Youth Summit, PCA & Milwaukee Public Schools Peace Rally, and candle-light vigils. A legislative assistant to former State Rep. Elizabeth Coggs, Tracey met even during his personal time with several block clubs and churches in a district of over 50,000 constituents. His memberships in community organizations include the NAACP, Aurora Sinai Thought Leaders (a think tank), 100 Black Men of Greater Milwaukee (he is a past vice president) and the Advisory Council of Dominican Center for Women. He sits on the Advisory Council for The Blood Center of Wisconsin. Most recently, Tracey formed a partnership with the Milwaukee Police Department. This partnership, endorsed by Assistant Chief of Police James Harpole, aims to reduce crime in the community and build trust between law enforcement and Milwaukee residents. 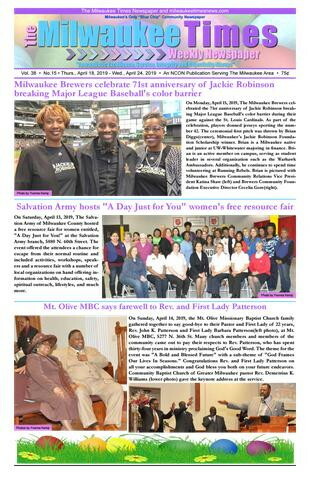 In honor of Vinencia Dawson and all City of Milwaukee fallen riders, Tracey is working with Alderwoman Milele Coggs to establish Motorcycle Safety Awareness Week, May 4-10, 2014. Tracey’s additional accomplishments include chair of the 50th Annual Dr. Martin Luther King, Jr. I Have a Dream Speech and March, Champion Achiever by YMCA Black Achievers in 2003, and citations for making a difference in the Greater Milwaukee from State Senators Lena Taylor, Nikiya Harris and State Representative Mandela Barnes and LaTonya Johnson. He attends Holy Redeemer Institutional Church of God in Christ and has a black belt in tae kwon do. Clover L. Barnes displays a commitment to achievement, propelling her to unpredictable heights as a caring and exceptional corporate leader. 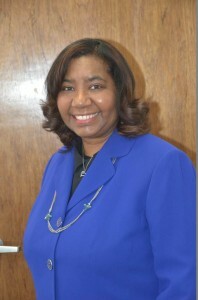 A highly competent profile distinguishes her accomplishments, beginning as early as a pediatric nurse in 2001 through her present position as Chief Operating Officer (COO) at Milwaukee Health Services, Inc. As the COO, she oversees the operation of two health centers – Martin Luther King, Jr. Heritage Health Center and the Isaac Coggs Heritage Health Center – with responsibility for direct oversight of ten departments. Born and raised in Milwaukee, WI, Clover attended Alverno Campus Elementary School, Bell Middle School and graduated from Rufus King International Baccalaureate High School in 1992. Clover’s undergraduate education began as a pre-med student attending Bowie State University in Maryland. She later transferred to Howard University in Washington, DC, continuing with a pre-med/nursing major and simultaneously working at various times in banking, retail, bowling and research. Clover’s grandfather passed away, and she returned to Milwaukee to assist her grandmother in 1998. Clover decided to attend Milwaukee School of Engineering (MSOE), completing a bachelor of science in nursing degree in 2001. Shortly thereafter, she attained her first career position as a Pediatric Registered Nurse in Hartford, CT. Although she enjoyed life in Connecticut, her grandmother’s terminal illness diagnosis in 2003 prompted her return to Milwaukee to assist in her care. Clover’s grandmother encouraged her to garner her leadership potential and to continue to pursue her dreams of working with underserved populations. Using any spare time wisely, she earned an MBA from the University of Phoenix. Now a seasoned management professional, Clover has held a myriad of leadership positions in clinical operations, managing nursing departments in as many as nine clinics at a given time. Fusing clinical knowledge with business savvy, she daily utilizes intricacies needed to ensure competency in the range between adequate health care and operational excellence. Clover’s expert written, verbal and presentation communication skills successfully engage staff and honor institutional culture. 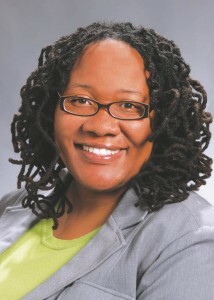 Concurrently, since 2011, she founded the Community Health Connection and serves as senior principal consultant. To that end, Clover knows the importance of encouraging and investing time in others by being a mentor and role model for urban teens. She works with African American students at MSOE and serves as a Red Cross First Aid Service Team volunteer. 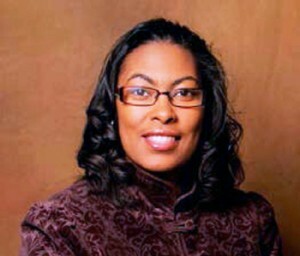 She was named Champion Achiever of the Year for her service to the YMCA Black Achievers Program in 2010. 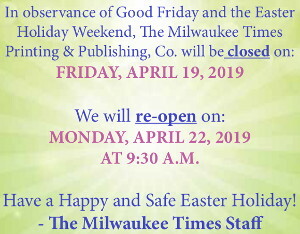 Clover makes a difference, whether volunteering with youth or working with Milwaukee’s underserved in another capacity. She strives to ensure they receive quality cost-efficient healthcare in their community. Citing her mother as her hero, she is a member of St. Francis of Assisi Catholic Church and is the mother of two young sons. Since graduating from Milwaukee’s Lynde and Harry Bradley Technical and Trade High School, Michael Cockroft has been clear about how he would be successful – he would build homes. Michael is currently the Director of Construction for Milwaukee Habitat for Humanity, a worldwide homeownership nonprofit organization. Milwaukee Habitat is involved in a three- to five-year commitment to building and rebuilding homes, with first-time homeowners, in the Washington Park area of Milwaukee. Its Neighborhood Revitalization Initiative (NRI) plans to focus on the entirety of community development, in addition to new construction. Milwaukee Habitat now offers rehabilitation, critical repair, weatherization, preservation, and community development for the neighborhood, working with Washington Park Partners, 3rd District Police Station, ACTS Housing, Housing Resources Inc., LISC Milwaukee, Safe & Sound, Select Milwaukee, United Methodist Children’s Services, Urban Ecology Center and the Victory Garden Initiative. 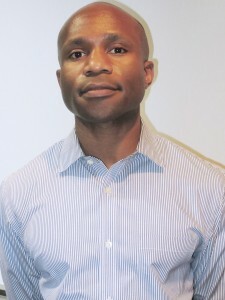 Michael graduated from MATC with a degree in architectural technology, and took a full time position with Cross Development Groups and was the supplier and head of Workforce Diversity, where his focus was in large-scale developers and municipalities, particularly in minority and women-owned businesses. He then moved to a subsidiary, Cross Development Group, and started designing residences and managing construction projects. He later moved to TL Reese where he worked as a project manager, entrusted with new construction, property rehabilitation, clinic, and grocery construction. He was among those saluted by the Milwaukee Business Journal as one of the “40 Under 40” for 2013, honoring Milwaukee’s upcoming leaders. Rosha Hamilton, RN, MSW, is director of community and patient health services for Wheaton Franciscan Healthcare. She directs community and patient health education strategies and programming for communities supported by Wheaton Franciscan Healthcare facilities in Southeast Wisconsin, Illinois and Iowa. In her role, she assures that educational resources and strategies are patient/family-centered while meeting the needs of diverse patient populations. Her focus is on health, wellness, prevention, discharge transition education, health disparities among populations, and health literacy. She also manages the Wheaton Direct physician referral service, community health class registration, and community health worker programs. Rosha is a graduate of Riverside University High School in Milwaukee; earned a bachelor of science degree in nursing from Carroll-Columbia College of Nursing; and a master of science degree in social work from the University of Wisconsin-Madison. She started working at Wheaton Franciscan Healthcare’s oncology and hospice unit in 1996. Her patients were dealing with difficult psychosocial aspects of health, which prompted her to want to become a psychotherapist. She counseled cancer patients, and helped them to cope with that life-changing diagnosis. She later transitioned into cancer prevention and detection, developing and managing cancer education, screening and prevention programs in southeastern Wisconsin. What began with cancer prevention morphed into community program development for health, wellness, and chronic disease management in Southeastern Wisconsin. Rosha led the award-winning Barbershop Men’s Health Initiative, an innovative partnership between Wheaton Franciscan Healthcare and barbers in the African American community to increase awareness of important health issues in Milwaukee’s central city. Since 2005, barbers have been having one-on-one conversations with their patrons about their health and giving them resources to help them access care and eliminate disparities. Rosha has been a trailblazer within Wheaton Franciscan Healthcare, educating the organization on effective strategies to meet the healthcare needs of diverse patient populations utilizing Community Health Worker models. She is a leader in health equity and healthcare disparities, making sure quality outcomes are improved for all patients. She states that mistrust of the healthcare system by communities of color still exists; so it’s important to create avenues to support patients accessing care and working within the systems to understand and be creative in their response. She has served as a Health Equity Board member for the American Heart Association, and won their 2011 Advocacy Action Award. She has served the Marquette School of Nursing Advisory Board Mentorship Program, and was a charter member and first vice president of programming for the National Coalition of 100 Black Women. She has spoken nationwide on topics ranging from early disease detection, cancer prevention, diabetes management, quality healthcare for culturally diverse populations, and utilizing community health workers as part of the healthcare team. When he came to the U.S. a little more than 20 years ago, Kenyan native Patrick-Awuori Mutsune aspired to expand his horizons in the field of technology. As often is the case, however, his collegiate experience instead helped broaden his horizons in another area of study: finance. Awuori, as he is familiarly known, graduated from Lawrence University in Appleton with a bachelor’s degree in economics in 1998. Shortly thereafter, he moved to Milwaukee to assume a position with Robert W. Baird after interning with the company in Appleton. Awuori says he wanted to move into Milwaukee’s city limits in an effort to help make a more direct, positive difference in the community. He has been involved with Big Brothers Big Sisters of Metro Milwaukee in the past. Awuori says his efforts are on hold at the moment, but he wants to resume his volunteer efforts in the future by tutoring students in need of academic assistance. “I want to give back to the community,” Awuori says. “There’s a big need in this city, particularly when it comes to male role models.” It’s no secret Milwaukee consistently ranks high in its figures for incarcerations and high school dropouts among African American men. “I feel there are a lot of causes I can be a part of to help stem the trajectory of these kinds of instances,” Awuori says. Awuori also serves on the board overseeing Marquette University’s Haggerty Museum of Art and has been involved with a college readiness organization that aims to assist high school students in advancing to higher education institutions. Additionally, Awuori frequently lends his support behind LGBT-based organizations. Awuori says he considers his co-workers at Baird as extended family – a scenario that perhaps was best demonstrated in 2005 when Awuori was officially granted U.S. citizenship. Many of Awuori’s co-workers attended the ceremony. Awuori and his partner of five years, Brett Timmerman, recently relocated from River Hills to a home on Milwaukee’s east side. They have a boxer named Juma. Growing up, music played a prominent role in Barry Applewhite’s early education experiences. As an adult professional, he is aiming to give students of a similar mindset a chance to use their talents and still attain a quality education. “Music helped me make it through school,” says Barry, who is principal of the Milwaukee High School of the Arts – one of Milwaukee Public Schools’ so-called magnet schools that offer specialized curriculum. Barry, a native of Waukegan, IL, came to Milwaukee in the early 1990s to begin his career in education. Initially, Barry worked at MPS’ North Division High School as a music teacher before transitioning to the High School of the Arts. Regardless of the venue, Barry’s role with the district has always revolved around music. 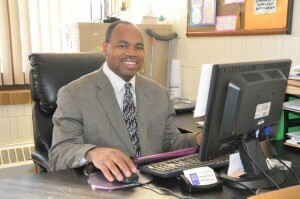 Barry began his role as principal at High School of the Arts nine years ago. He holds an additional title with MPS, serving as its district music curriculum specialist. With budget cutting an annual ritual at many school districts, arts-related curriculum frequently winds up on the chopping block. Barry says he is grateful to work at a school where it still takes center stage. Music continues to play an important role in Barry’s life outside the walls of education as well. Barry and his family attend New Testament Church on Milwaukee’s northwest side, where he serves as a drummer on the non-denominational church’s music ministry. “The music is such an integral part of the service itself,” Barry says of his worship experience at New Testament. 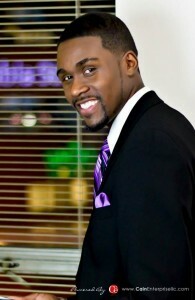 Barry also performs professionally as a member of the Chicago-based band, State of Mind. Additionally, Barry has lent his expertise and passion toward a number of music-based causes, including the National Endowment for the Arts, VH1’s Save the Music Foundation, the Milwaukee Youth Symphony Orchestra and the Wisconsin Music Education Association. His other credits include directing the Milwaukee Lake Band. Whenever possible, Barry says he will speak at conferences and similar events to shine a light on the importance of arts-themed education. While music has been the foundation of Barry’s professional and philanthropic pursuits, he readily admits a quality education is equally important. Barry is working toward his fourth higher-education degree at the moment. He earned a bachelor’s degree in music education and music merchandising and a master’s degree in music education, each from Western Illinois University. He also earned an additional master’s degree in leadership and supervision from Cardinal Stritch University. Barry currently is working toward his doctorate in leadership, learning and service at Stritch and is in the process of completing his dissertation. Barry his been married to wife Lorraine for 17 years. They have three children: Barry, Lorena and Brandon. An educator for 36 years, Linda Bonds served the Fox Point Maple Dale-Indian Hill School District caringly and adeptly for 25 years. Now retired, she co-owns Busy Hands Child Development Center (located on the northwest side) with her husband, Azie Bonds, Jr.
Born in rural Jacksonville, IL, Linda is the oldest of five children. She attended MacMurray College, graduating in 1975, with a major in elementary education and a minor in deaf and hard-of-hearing teacher education. Her career began at an elementary school in Murrayville, IL, where she once attended. The first African American female teacher from Jacksonville, she taught Title 1 reading. She met her husband when both worked for the National Association for the Advancement of Colored People’s (NAACP) youth summer program in Jacksonville. They married in 1980 and moved to Kalamazoo, MI, where Linda taught as the first African American at a preschool and a high school for the hearing-impaired. Upon recruitment by civil rights and education leader Helen Barnhill to satisfy the Chapter 220 integration suit settlement, Linda and her family moved to Milwaukee in 1987. Interviewed by four school districts in one day, all offered her a contract to fulfill settlement requirements between Milwaukee Public Schools, the NAACP, and 24 suburban school districts. The desegregation settlement required not only that African American children be bussed into each school district, but required hiring an increased number of African American teachers, counselors, administrators and non-certified staff members. Attracted by the sincerity of principal Jeanne Morrow, the small class sizes and the financial compensation, Linda became the first African American teacher hired by the Maple Dale-Indian Hill School District. One of two teachers most requested by parents, Linda effectively engaged students in diverse subject matter, including understanding African American historical contributions. Parents intentionally influenced each sibling’s placement in her classes as they attained eligibility. She worked with a supportive team of teachers through several principals. She states, “We were like a family” and adds, “No one stands alone, but rather we are part of an intricately woven network of parents, teachers, community and businesses, forming a collective whole striving for excellence pertaining to the future of our youth.” She received recognition from state superintendent Tony Evers for years of commitment and service, recognition from the Wisconsin Education Association Council (WEAC) as an outstanding teacher, and has been featured on local billboards and commercials throughout Milwaukee supporting the strengthening of our schools and community. “Being first has its merits, but what’s more important is that when the door of opportunity knocks, don’t just walk through it. Kick it wide open so that others may follow,” Linda advises. To this end, the following community activities ground her as a mentor and a role model. She served two terms on Brown Deer’s Educational Curriculum School Board; participated in the planning, development and teaching of UW-Milwaukee’s Summer Tutorial Reading and Math Programs; tutored at Milwaukee Urban League and successfully coached their team of high school students to win consecutive citywide championship titles in both 2002 and 2003 Annual Financial Challenge Bowl Competitions. Linda teaches summer kindergarten and Sunday school at Mount Zion Missionary Baptist Church and occasionally substitute teaches. An avid bowler, her other interests include serving as Top Ladies of Distinction – Milwaukee chapter’s correspondence secretary. Linda and Azie’s son, Justin, works as an MPS paraprofessional and their daughter, Kathryn lives and works in Minneapolis as a project specialist for United Health Group. Born and raised in Milwaukee, Shawon attended Fifty-Third Street Elementary School, Wilbur Wright Middle School and graduated from Rufus King International Baccalaureate High School in 1992. After entering the University of Wisconsin-Madison, between her class and work schedules, she tutored students as a volunteer with the Madison Metropolitan School District and various community agencies such as Upward Bound. This led to her love of teaching and fueled the desire to become a teacher. She earned a bachelor of science in elementary education, with a Spanish minor from UW -Madison in 1997. Immediately returning to Milwaukee, Shawon’s MPS teaching career began at Fairview Elementary School. Placement in Townsend Elementary School gave her a real sense of giving back and completion when she returned to her own “neighborhood” school. Her education continued as she earned a master of arts degree in reading/language arts at Cardinal Stritch University in 2000. A new connection made, she joined Cardinal Stritch University’s Urban Literacy Centers as an instructor assigned to different sites, such as Stritch’s City Center Campus, Townsend Street School, Hampton Elementary School, and Sherman Multicultural Arts School. Experience prompted this important wisdom from her: “Our city is full of the most intelligent and talented children. They may face tough situations and circumstances, but they have abilities. They can succeed when they have teachers who believe in their possibilities. New teachers must be better trained so they know what to honestly expect. Many times, teachers just have to show patience and compassion to reach these students. But we have to keep our expectations high.” Shawon and her husband Brent reside on Milwaukee’s northwest side. College instructor Linda J. Presberry describes herself as a “down-to-earth hometown Milwaukee girl” whose true callings – adult education and writing – allow her golden teaching opportunities to make a difference. She also describes herself as competive and somewhat of a perfectionist. She prides herself in excelling and giving her all to every endeavor, volunteer opportunity and activity that she undertakes. 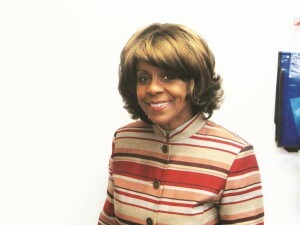 Linda’s education includes attending several Milwaukee public schools, culminating with her graduation from Riverside University High School in 1965. Following graduation, she attended the University of Wisconsin-Milwaukee briefly and transferred to Howard University, earning a bachelor of arts degree in 1972. Still living in Washington DC, after graduation she attempted to teach elementary and middle school, but in her words, “The students were too rambunctious for me.” She returned to Milwaukee and began working for the Social Development Commission where she became the first director of the North Side Youth Service Bureau, a juvenile divergence project. After two years, she enrolled at Marquette University Graduate School and earned a master of arts degree in New Editorial Journalism. After graduation she immediately secured employment as a public information officer for the State of Wisconsin, and worked there until that position terminated. She then moved to Chicago and worked as a communications coordinator, a public event planner and a public relations specialist for six years. Eventually returning to Milwaukee, she was hired to teach news reporting, public relations and publication design in the Department of Mass Communication at the University of Wisconsin-Milwaukee. One student reflects on Linda’s impact while at UWM. 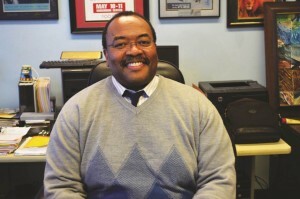 According to an article written by Jamaal Abdul-Alim, “Dropouts Tell No Tale” in the September/October 2013 issue of Washington Monthly, “The second thing that led me to become a journalist was a visit from a black journalism instructor at UWM. Her name was Linda Presberry.” She visited John Marshall High School for career day and inspired Jamaal to visit her at UWM. Career excellence is matched only by her perseverance and determination in overcoming adversity. At the peak of her career, Linda was diagnosed with lupus, a life-threatening autoimmune disease that causes inflammation, swelling and damage to joints, skin, kidneys, blood, the heart and lungs. Linda waged a 12-year battle against the disease, which is now in remission. During that time, she did volunteer work and, despite her own illness, was a caregiver for two elderly relatives. She eventually was able to secure part-time instructor positions at both Milwaukee Area Technical College and Waukesha County Technical College. She now teaches in the English Department at both institutions. Through Linda’s innate ability to communicate with and reach young people, she speaks their language, finding their idiomatic expressions extremely colorful. Importantly, she shares life lessons gleaned over her career. Thus, she makes every effort to challenge and inspire students to produce their best, and she in turn gives them her best. Linda is very demanding of her students. This is partly due to her belief in self-fulfilling prophecies and that students perform to the level of their teacher’s expectations. She sets the bar high to plant good seeds. Unfortunately, she still painfully recalls her fifth grade teacher planting a poisonous seed, when the teacher proclaimed that 60 percent of the class would not graduate from high school. Linda chooses instead to encourage students to broaden their horizons. This encouragement prevents her from short-circuiting their future accomplishments as she feels her fifth grade teacher did. Linda attends New Testament Church of Milwaukee, where she volunteers for the Education and Scholarship Committee and the Health Committee. She is a member of Alpha Kappa Alpha Sorority Inc., and she serves as this year’s chairman of the Milwaukee Urban League Guild’s Health Committee.